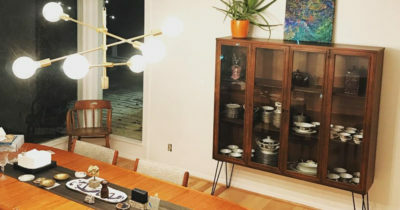 Anyone can teach themselves common etiquette like how to place silverware, how to hold conversations over dinner, and obscure table manners that’ll please even the most persnickety of guests. Very few people inherently understand table manners. The vast majority of us just learn the basics(you chew with your mouth closed right?). 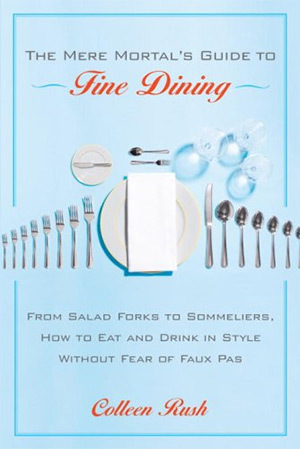 But with the help of these books you can set a beautiful table and exude proper etiquette for any dining occasion. Whether you’re throwing a home dinner party or if you simply want to class up your family’s meals these books are sure to help. 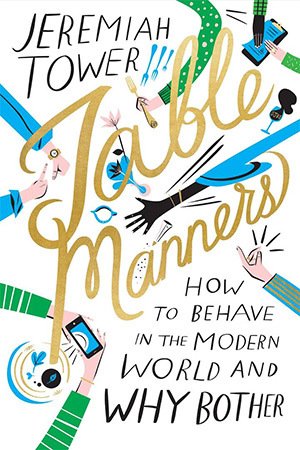 This book is one of the newest released on table manners in the 21st century. 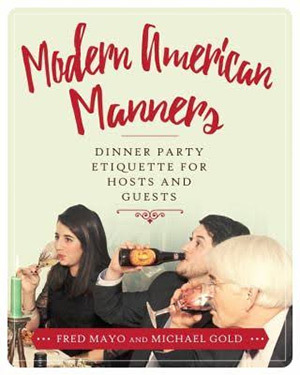 Modern American Manners: Dining Etiquette for Hosts and Guests offers a humorous look into the tact and subtle nature of proper dining. Most western countries have some form of etiquette at the table but this varies across borders. This book takes a look at American dining and the most common etiquette problems experienced from hosts and guests alike. 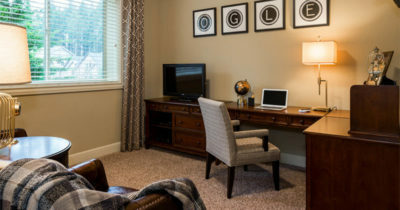 You’ll learn how to fill both roles as a guest or as a host for any formal or informal affair. Business meetings, dinner parties, and fancy restaurants are all covered in great detail. Different situations require airs of etiquette and it’s good to understand these topics before your first foray. Later in the book you’ll learn about common pet peeves that you should avoid and how to present yourself in a classy manner. If you’re ever invited to a dinner party you’ll want to master etiquette to make sure you’re invited back! And this book will make sure you behave accordingly with a clear and light hearted writing style. The sheer simplicity and level of depth make this book the best option for beginners trying to learn etiquette. The Mere Mortal’s Guide to Fine Dining is a 220+ page book for anyone that wants to understand fancy behavior the simple way. Author Colleen Rush has years of experience writing about culture in magazines like Cosmopolitan. She dives into the burning questions of dining etiquette like how to place your napkin, your silverware, how to deal with wine lovers, and what to do with your plate once you’ve finished eating. Minor nuances are discussed in detail. This is truly a beginner’s guide and it’s one of the simplest means of understanding etiquette without going crazy. A good portion of this book also covers attitude and social graces that extend beyond the table. You can’t act like an angel at the table and fall flat after dinner. Etiquette is more about how you carry yourself in the entire social setting and Colleen really drives this point home. But this entire book ties everything together with table manners. No matter what type of food you’re eating or what sort of questions you have I’d bet they’re all covered. 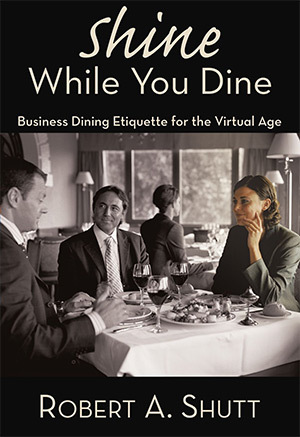 A must-buy for anyone serious about learning true dining etiquette. If you’ve ever wondered why you need a bunch of forks or so many different drink glasses then this book is for you. Elements Of The Table takes a deeper look at table setting and etiquette at the dining table. In certain restaurants you’ll often find a handful of different spoons and forks, often on different sides of the plate, and you’ll have no flippin’ clue why. Thankfully this book covers absolutely every piece of silverware from salad forks to steak knives. 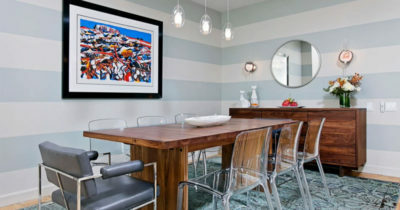 You’ll learn when it’s appropriate to use each piece of silverware and which situations call for larger dining sets. These tips are especially useful if you’re hosting a dinner party and don’t know how to set the table. 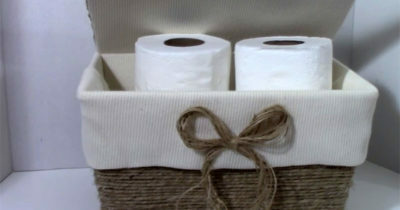 Other chapters get into alcohol and serving drinks, decorative centerpieces, napkin designs and ultimately where those napkins should end up when you’re eating. For a mid-sized book this will answer a good number of basic questions about table setting. But it’s really the appetizer of your etiquette learning and this works best as an intro guide rather than a total resource. The Art Of The Table is a ginormous book totaling over 440 pages crammed with dining etiquette and table manners up the wazoo. Author Suzanne von Drachenfels is well-known as an expert on this topic and her book is perhaps the only guide you’ll ever need. It covers beverages, napkins, silverware, proper serving techniques and how to eat your food without being rude. This book is dense and full of information. I wouldn’t say it’s the easiest book to read, however it is incredibly accurate. Each chapter has little tips sprinkled into the pages and you’ll find a whole host of valuable insight. 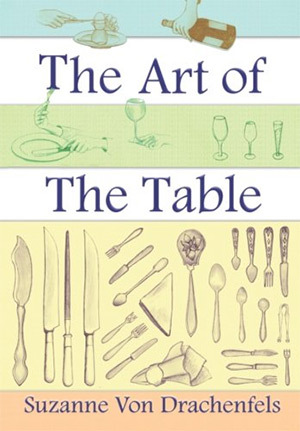 Suzanne also includes 100 unique illustrations to visually show table etiquette in a step-by-step process. If you’re hoping to bring more elegance to the table then this book has that in spades. It’s widely considered the authoritative guide on table manners and it’ll help anyone regardless of class, background or upbringing. Our modern era is so fast-paced and it seems many people have forgotten proper etiquette. 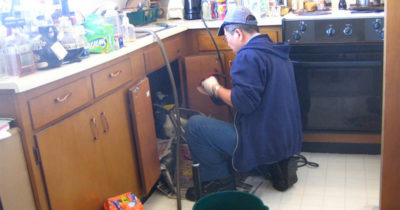 Granted your experience may vary between a 5-star restaurant and the local IHOP. But there’s a lot to learn on this topic and Jeremiah Tower’s Table Manners really gets to the root of modern dining. Is there a proper way to let your host know if you’ll be late? How often should you snap food photos for your Instagram? Over the course of 160 pages Jeremiah tries to answer these question and many others. 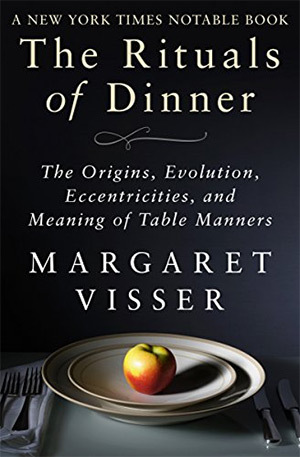 Despite the food-oriented title this book goes deeper than simple table manners. It gets into proper conversational topics for parties, eating out at restaurants, how to dress up, and how you should behave if you’re the host. 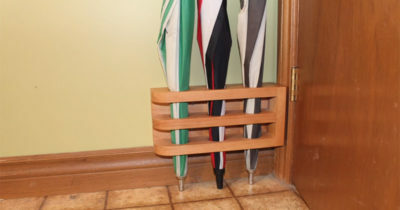 All of these topics bridge together and fall under the umbrella concept of “social etiquette”. Jeremiah does an excellent job explaining that even though society has changed in recent years, our manners should still be common sense. If you’re lacking in the etiquette department I do recommend a copy of this book. 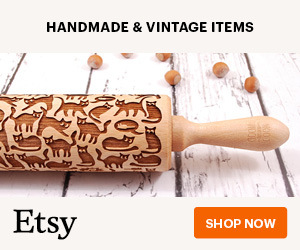 It’ll take you far enough to fit in at any dinner party. Business meetings are commonly held over meals because, let’s face it, we’re all busy and we all gotta eat. Shine While You Dine places more emphases on business dining and keeping business meetings elegant. Whether you’re meeting with an investor, a possible client, or a possible employer, you want to dazzle them and leave them asking for more. It’s a fairly quick read with about 130 pages and a total of five major sections. 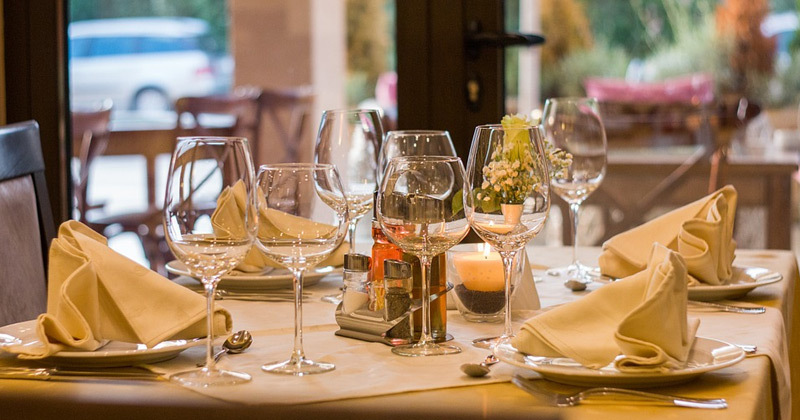 These sections each have many chapters covering the basics of etiquette, setting up food meetings, how to properly use utensils and how to handle all the major courses in a meal. How you conduct yourself may be quite different from a BBQ joint compared to a fancy steakhouse. But the principles of business etiquette always remain. If you can master the art of business dining you’ll have more successful meetings and leave a stronger impression on everyone after your meals. Dorothea Johnson’s The Little Book of Etiquette is a cute read with many practical tips for men and women alike. The majority of this book focuses on business meetings and social gatherings. But it reads like a party-neutral book so these tips can work in common social situations too. But I specifically recommend this for anyone going to high-level corporate events or fancier parties outside their comfort zone. The basics of dining etiquette always remain the same across the board. From silverware placement to handling your napkin and knowing when to eat, it’s all here in bite-sized chunks. Physically this book is pretty small so it won’t take up much space in your bookshelf. It’s also a breeze to read through and you’ll digest the material quickly. Overall an excellent book that I mostly recommend for higher-level affairs. You can glean some pointers for simple dinner parties but this book really prepares you for high society. Good Manners In Minutes just might be the quickest way introduce yourself to fine dining & proper social graces. 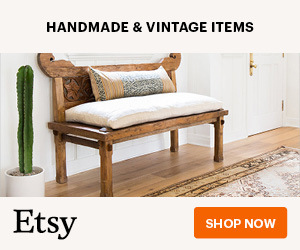 The author Emilie Barnes has published over 70 different titles covering home decor and time management. 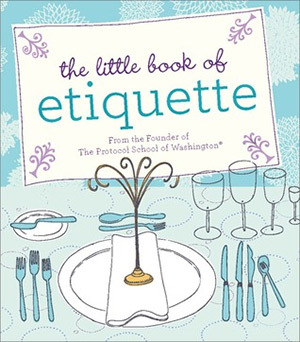 This book is just one of Emilie’s many hits and it focuses more on etiquette in personal social settings. 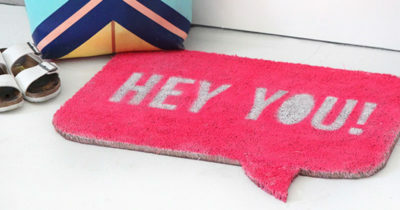 When you’re invited to someone’s home you may be unsure of exactly how to act. This book will give you a leg up on the situation and make you feel a lot more comfortable with your behaviors. Each chapter breaks into different topics that go far beyond the dining room experience. You’ll also learn about manners related to weddings, tea parties, business meetings, and simple courtesies you should have when you’re out & about in public. This book isn’t just a guide to table manners. It is the complete reference book for all social interactions explaining the polite way to behave in any situation. 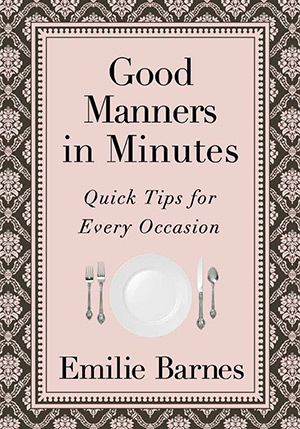 It’s a must-own book for anyone that struggles with social cues and seemingly “common sense” manners. If you have young kids then Manners At The Table is a prime intro to the subject. The illustrations are gorgeous and it’s a fairly short story with 24 pages explaining the dos & don’ts of table manners. This book targets younger kids ages 2-5 and it can feel a little “babyish” to the older kids. I still think it’s an excellent intro to the topic to get your children thinking about table manners from a young age. But if you’d like an alternative for older kids check out Emily Post’s Table Manners For Kids. 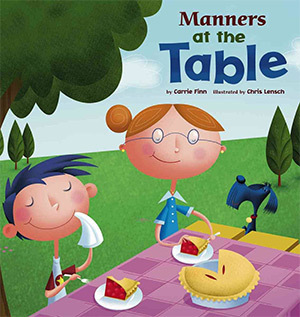 this book isn’t a simple kid’s book as it looks into table manners in greater depth. Emily’s book works better for children ages 7-12 when they can really understand the concepts. Either way these books are phenomenal for children and they’re great for multiple readings. If you have young kids you might even pick up both books and get them started early. I know I wish my mom did that for me! Lastly I want to add in The Rituals of Dinner because it offers a funny and unique look at how dinner has evolved over the years. Note this is not a book on manners or proper etiquette. It’s more like a series of essays on the unusual development and pastimes of supper over the centuries. 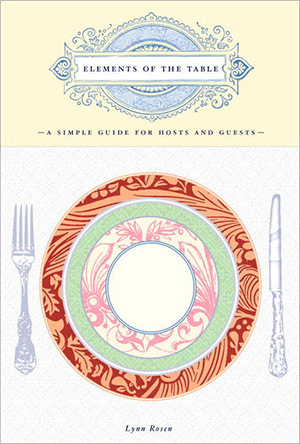 This book covers dining and how the concepts of etiquette came to be. It’s also a fun read for history buffs or anyone who loves to learn about cultural development. But since this reads like a personal study it can feel verbose. 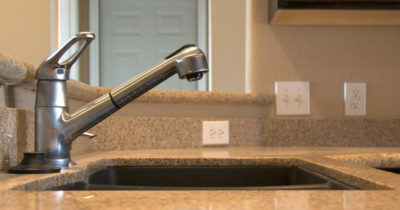 It still deserves a spot in this list just for the level of detail and the unique perspective it offers on western culture’s dining behaviors. And if you don’t care so much for dinner rituals you can still find a ton of other awesome books in this post. If you just want an easy intro I recommend The Mere Mortal’s Guide to Fine Dining. It’s not hard to consume and it’s very accurate covering a wide array of fundamental topics on social graces and common dining etiquette. But every book in this post offers something valuable and any one of these books will surely improve your manners at the table and beyond.